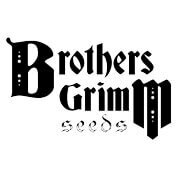 Brothers Grimm Seeds was founded in 1996, when arrangements were made though Canadian seed reseller Heaven’s Stairway to distribute cannabis strains created by MrSoul and partner Sly. Known for selectively backcrossing, cubing and inbreeding some of the rarest of cannabis genetics on earth, Brothers Grimm became renowned for uncompromising quality & for producing genetic stability, high potency, short flowering times, heavy resin production, and intensely tropical terpenes. In 2002, the company abruptly closed due to security concerns. For many years after, their seeds were no longer available, growers either jealously guarded their favorite clone mothers or shared them with their friends to keep them alive. Some breeders famously used Brothers Grimm Cinderella & Apollo to create new hybrids as well as breeding filial generations as far out as F5. MrSoul waited more than a decade to retrieve the precious clones and seeds he’d stashed safely away. In 2015, he met Duke Diamond and together they developed a concrete plan to resurrect Brothers Grimm in Colorado. The combination of these two breeders’ abilities, along with a deep reservoir of unique cannabis cultivars, is the foundation of their company. It’s been a long time coming, and lot of work, but Brothers Grimm are overjoyed to be back. Their faithful followers can be assured that a tradition of stability and reliability continues with the re-release of their Cinderella and Apollo lines as well as strains developed in new breeding programs. Selectively combining cultivars, according to strict genetic principles, Brothers Grimm provide the finest cannabis genetics available.